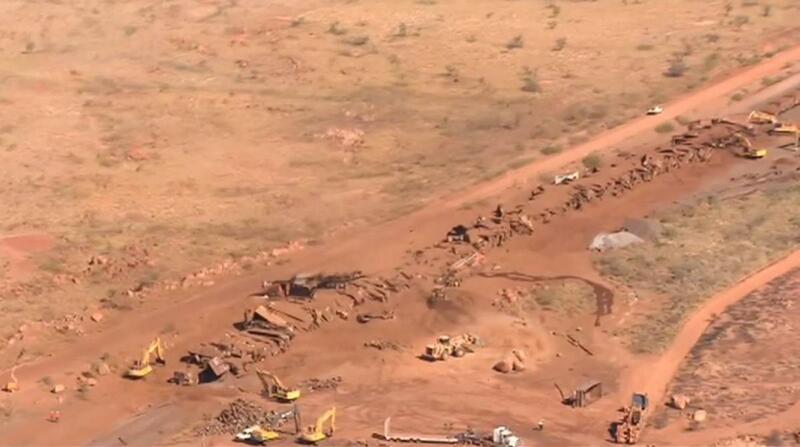 The miner suspended all of its rail operations on Monday after it derailed the iron ore train, damaging 1.5 kilometres of track and crushing numerous 268 fully-laden wagons in the process. The train travelled 92km in 50 minutes before being derailed at Turner's Siding, 120km south of its destination. "We've got no reason why we have to change the contracts and agreements we have with existing customers", he said, following the company' annual general meeting in Adelaide. No-one was injured in the incident. The loaded train consisted of four locomotives and 268 wagons. While the driver was outside the train, it took off with no one on board. After traveling about 55 miles, it was deliberately derailed by a company control center in Perth, according to ATSB. "We are working with the appropriate authorities to investigate the situation".